Another year has passed and 2018 went by so fast. It may not the best year for me but it is indeed a memorable one. Joseph and I are still in a long distance relationship. Can't believe it has been a year! I spent my time mostly with my family and relatives. I also like to spend spent my time alone. 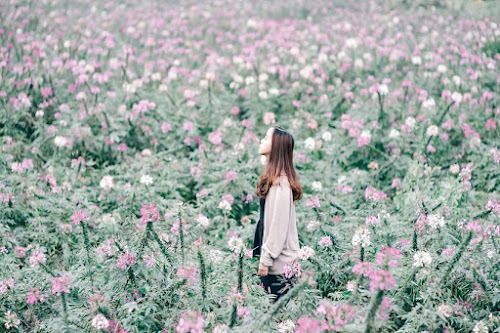 I was able to know myself even more like what I actually want in my life. I got to know myself even more. Nothing much happened in January and February. I just focused on my work at that time. I am still working as a part-time virtual assistant for a client of mine. I worked for him for more than a year now and it is one thing I am thankful for. I enrolled myself at Anytime Fitness in March. I completed six months but for some reasons, I had to stop for a while. But I'll try to go back this year. :) My Dad had a heart attack in March. I got really worried. I was really thankful that he recovered fast. It was April and May when I started to explore and be adventurous. I went to Capiz and Iloilo with my Ninang and her family for 8 days. It was also my first flight which really makes it a memorable trip. And I had so much fun!! 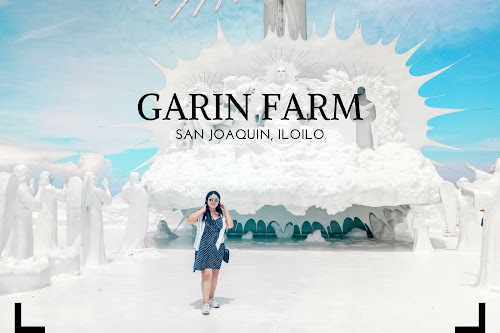 We went to Garin Farm and Gigantes Islands. I made a separate post for that. This trip made me realize that I like to travel and I've been craving for more since this trip. June was my birth month. I just had a simple celebration with my family. I bought a new camera in July. It was an investment for me and I was so happy with my Sony A5100! I went to Baler in August. It was just a small trip but still a milestone for me. I stepped out of my comfort zone and trekked all the way to the Mother Falls. No regrets! It is so beautiful and so worth it! It was even drizzling when we were trekking. Para akong nasa music video! Haha! I also had my first ever food crawl on this month. I was invited by Zomato for a Tagaytay Food Crawl and I got to meet new friends and food buddies! 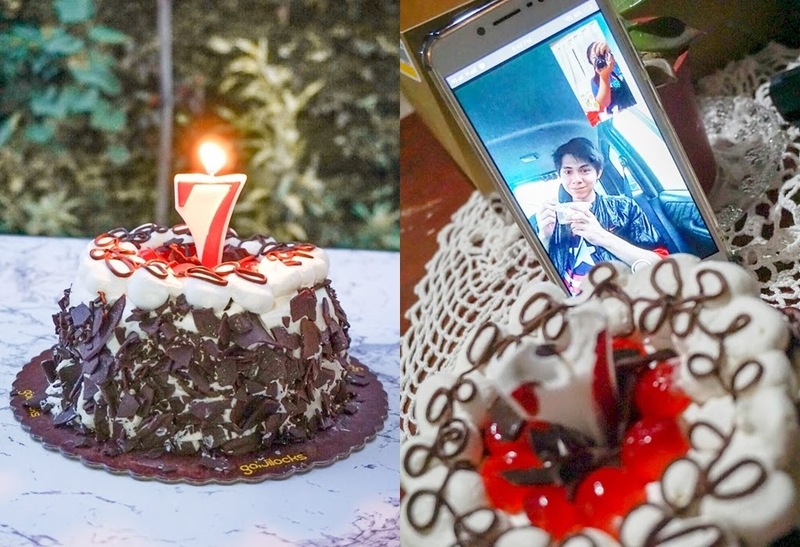 Joseph and I celebrated our 7th anniversary in September, and yes, in an LDR way. Haha! We always talk every day but I really do miss him a lot! I was also invited for a Day Tour in Batangas. We went to Villa Jovita and Fantasy World. Nothing much happened in October. Just the usual work and gala. I bought a new phone in November. I bought the Huawei Nova 3i. My hair got rebonded on this month and new hair color! And for this month, December, we celebrated Christmas in a very simple way. My cousin invited me to a painting lesson with my little cousins. It was my first time to paint. Ang hirap pala bes! Haha! I also got a new client before the year ended. I think I'll be working full time with him. I had too much kdrama and series this year. Haha! Another thing that I got this year? FAT. I got FAT. I know! Haha! I got back into kpop too. I like Mamamoo, G-idle, Gfriend, Red Velvet and Blackpink. 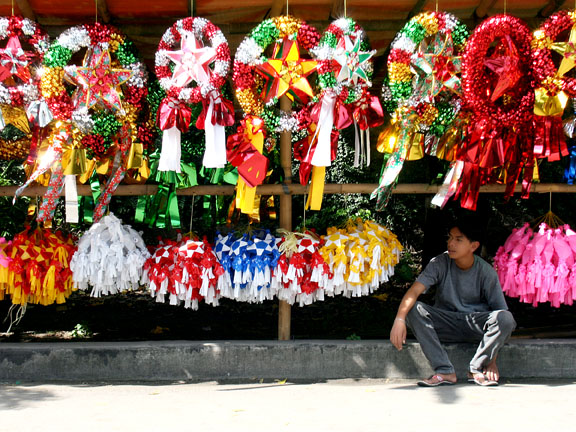 Christmas is the most wonderful time of the year, and in the Philippines especially there are a billion and one things to do during the season. In the midst of all of the hustle and bustle of the holidays, it’s good to remember to take a step back sometimes and let yourself experience the joy of Christmas again. Luckily, if you’re scrambling for ideas then you can simply take a look at the list below of ten things you can do to have fun during the holidays. The holiday season means a return of traditional food favorites that are sure to leave you full and happy by the time New Year’s Day rolls around. Put away the diet for now and let yourself snack on some old favorites like puto bumbong and queso de bola, or get ready for the main event— the gastronomical paradise of the noche buena at your parents’ house. There’s nothing better for getting into the Christmas spirit than sitting back and watching a Christmas film. While you may be tempted to go for familiar favorites, try checking out this list of Christmas films from the Philippine Star and see if there’s something new that you’d like to try out this year. Music has always played a huge role in Filipino Christmases; after all, who hasn’t grown up listening to Jose Mari Chan take over the airwaves in December? Really get into the holiday cheer this year by listening to some carolers from your neighborhood, or more professional fare at hotels such as Seda Vertis North, which will have carolers entertaining guests in their lobby from December 17 to 21, 2018. Really live the spirit of giving by volunteering to pack Christmas packages or prepare a simple noche buena at your local orphanage or church. This might only take a few hours out of your holiday season, but the joy on the faces of the people who will get to enjoy your hard work is priceless. One of the best things about the season is getting to enjoy limited-edition holiday-themed food and drinks. Check out Yummy PH’s list of Starbucks holiday food and drink this 2018 and sample them all before they disappear on January 7, 2018! If you’re looking for gifts that you can give out to your loved ones this Christmas, try shopping local! There are tons of local brands that make great gifts this holiday season. For example, clothing brand BNY Jeans provides cutting edge fashion for today’s youth, which you can consider as a present for loved ones as they offer high quality fashion at affordable prices. It’s not Christmas without Christmas lights, and all over the Metro are some amazing lights displays that you can enjoy with your family. Check out Spot PH’s list of Christmas illuminations that you can see this year, and get ready to plan your evenings! Christmas season is the time for reunions and coming home, so take the opportunity this year to reconnect with your family and friends that you may not have seen for a while. Go out for coffee or dinner and ask them about how their year went, and make plans to see each other again before another year passes. Sometimes the best thing you can do for others is to take care of yourself first, and that still holds true this holiday season. 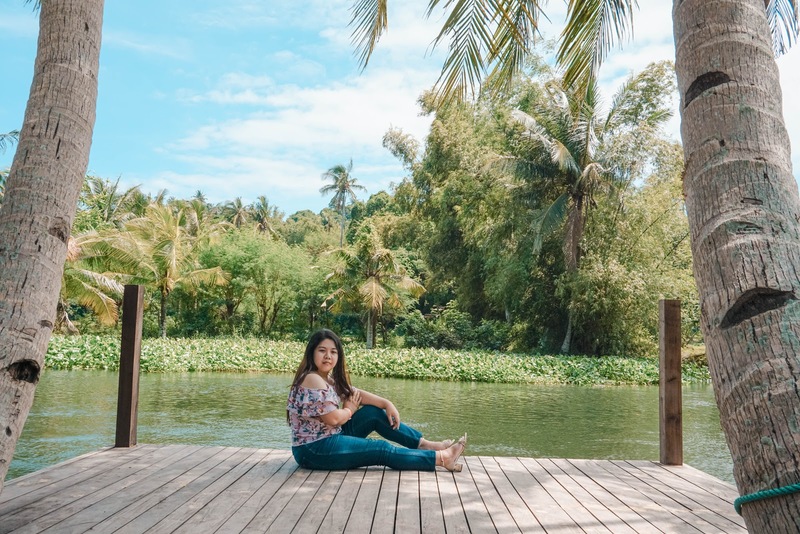 It’s easy to forget to take a moment to breathe and relax, especially given all the parties and shopping that needs to be done. But in the midst of spoiling all of your loved ones, try not to forget that you can spoil yourself too— just treat yourself to your favorite cake, or put your favorite carols on in the car, and allow yourself to be refreshed. And of course, last, but not least: take the opportunity to show your loved ones that you care this Christmas season. Whether it’s getting them something amazing, or simply taking the time out of your day to share a moment with them— more than material gifts, Christmas is all about sharing love and joy, so don’t miss out on a chance to do just that with the people who matter the most. For a look at some other 10 happy things that you could be doing, check out this section of the Elaine Dogelio blog! I've reviewed so much skincare lately so let's do a makeup review for today. 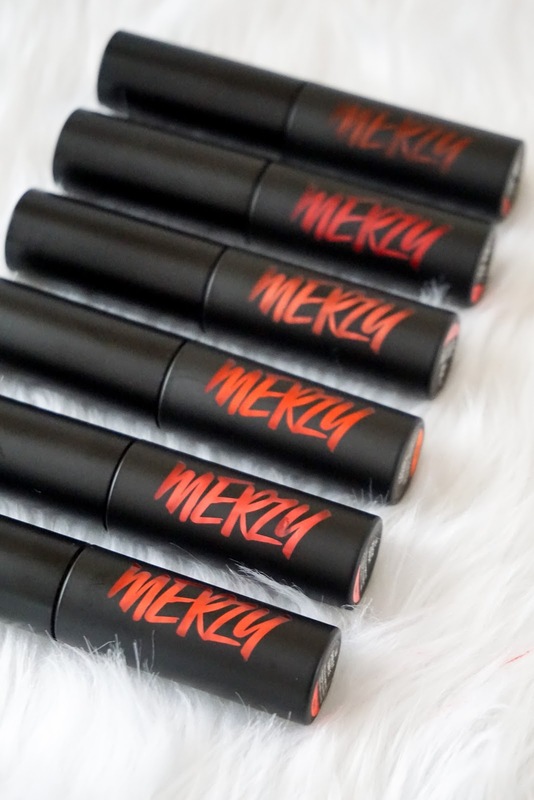 I will be reviewing the Merzy The First Velvet Tints. I got all of the six shades and I will also be doing swatches for you, loves! My family and I went to Ayala Malls Solenad, Nuvali last November 30, 2018, for the Del Monte Spag Sarap Squad Headquarters. 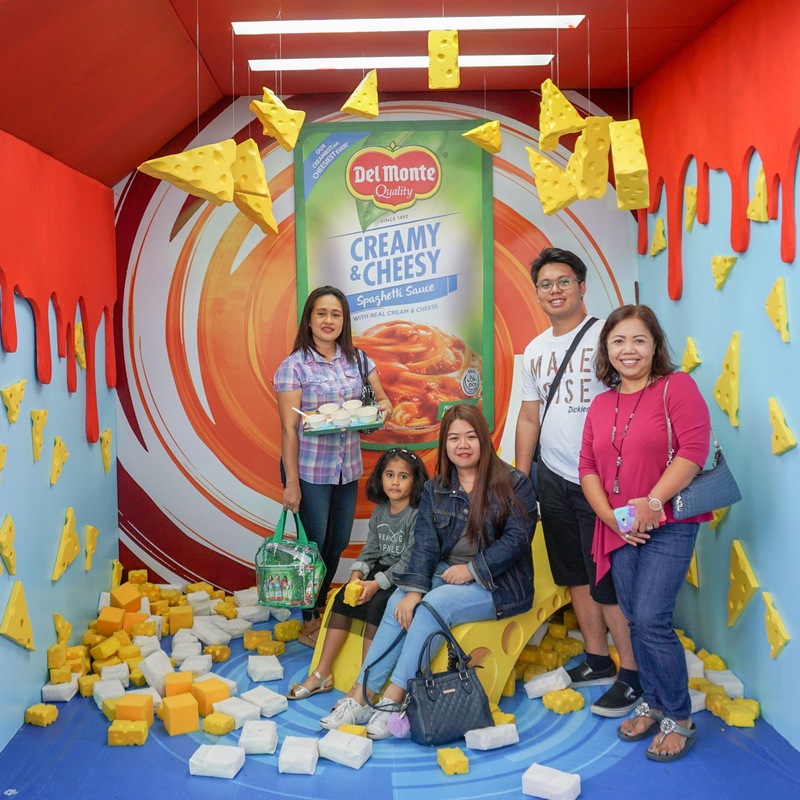 Del Monte Spaghetti Sauces treated families to an excitingly different spaghetti experience by sampling all five of their delicious spaghetti sauce flavors - Carbonara, Italian, Sweet, Filipino, and their newest flavor, Creamy and Cheesy. 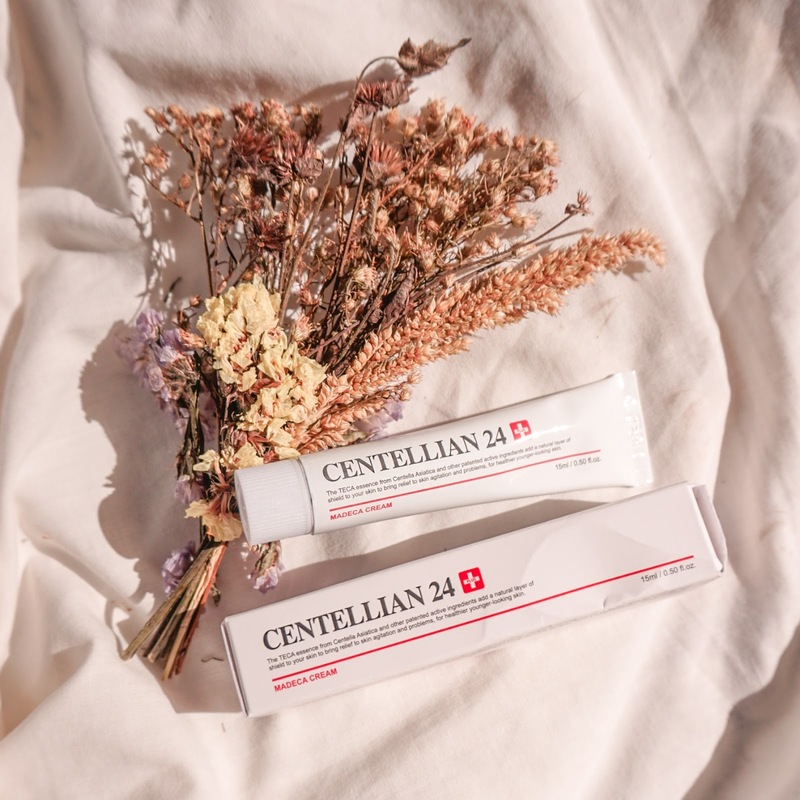 One of the most raved and best selling Korean skincare in 2018 is the MADECA CREAM by Centellian24. 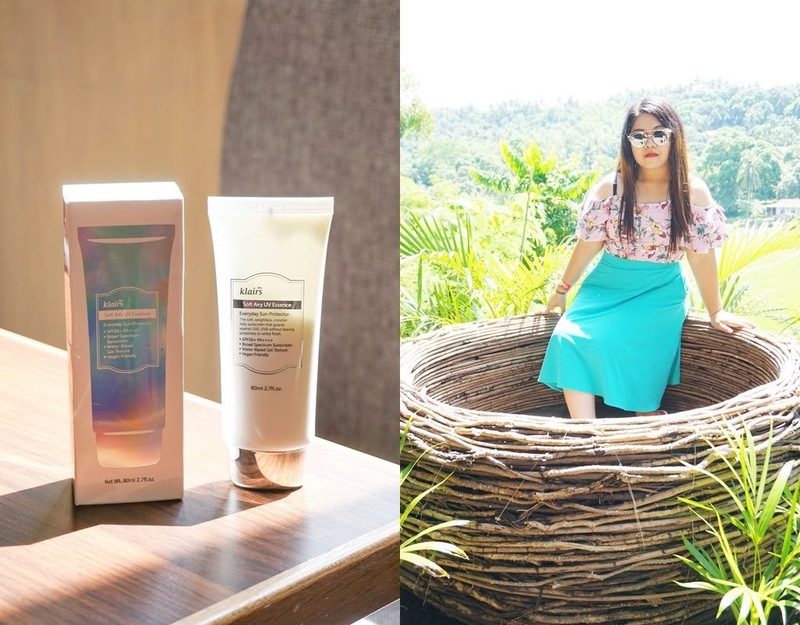 It got famous here in the Philippines and is always sold out because of Raiza Contawi, a Filipina youtuber. But the question is, does it really work? I can now finally share my thoughts about it after using it for a month. 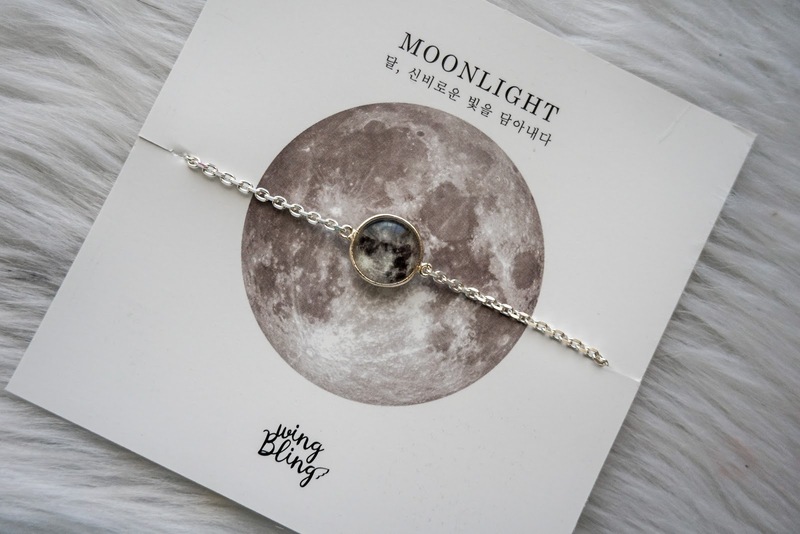 The famous necklace and bracelet are from WINGBLING, a famous digital accessory brand in Korea. 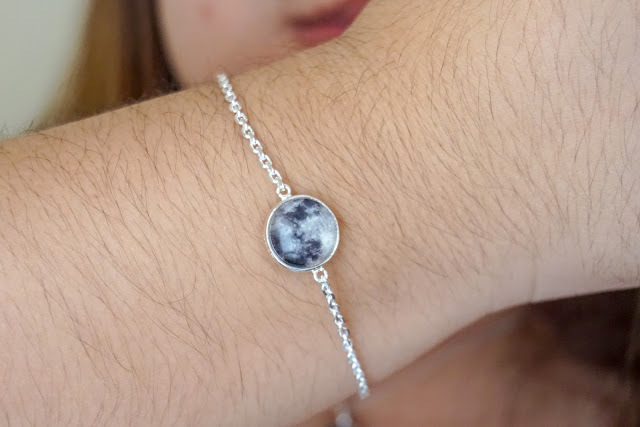 They have lots of other cute stuff aside from these and all of the products that they sell are handmade. 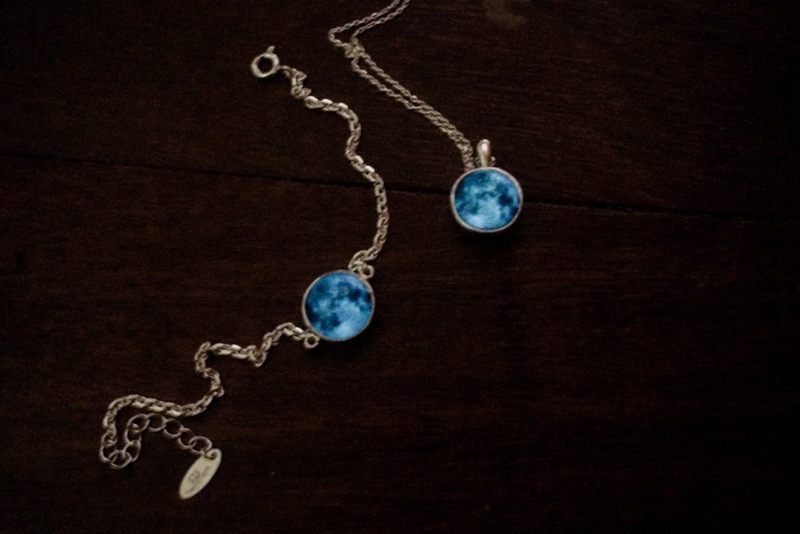 I have the bracelet and the necklace and both are in White Moon. It comes on a very classy packaging. I love the aesthetics! 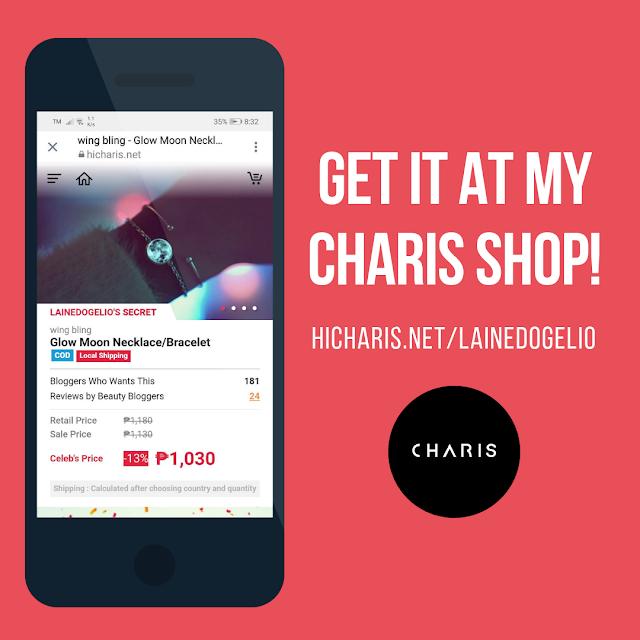 There are also genuine product labels (Pink tag) which you can scan in HiddenTag to know if your product is authentic. 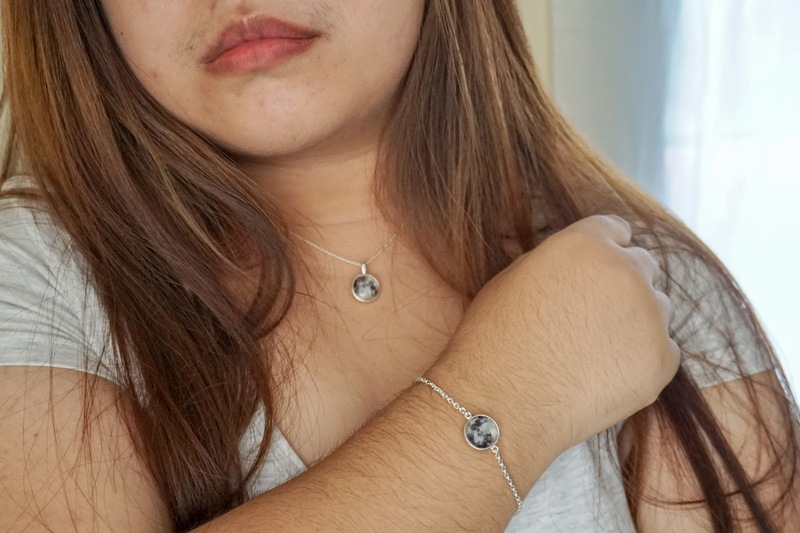 Close up view of the bracelet (left) and necklace (right). 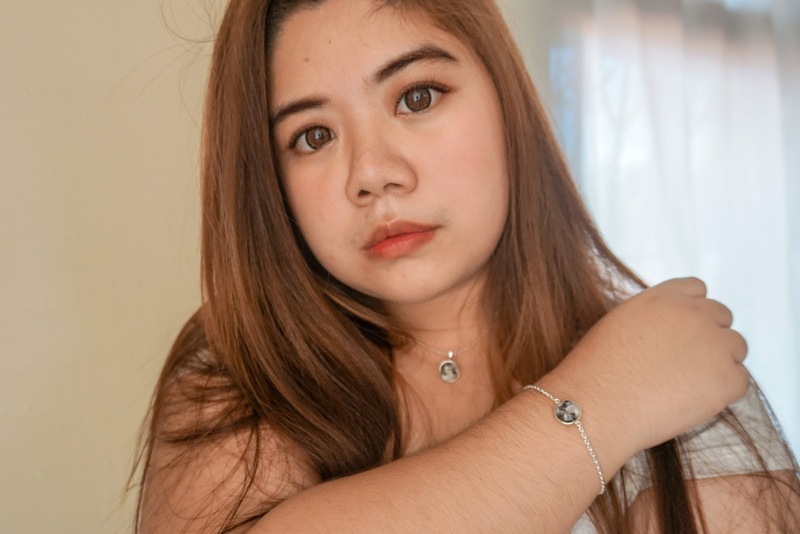 I am not actually good on showing fashion pieces because I mostly do makeup and skincare reviews but I did try my best to give you good photos. Haha! And please, excuse my hairy arms if it bothers you. I am born with it so yeah. Lol. 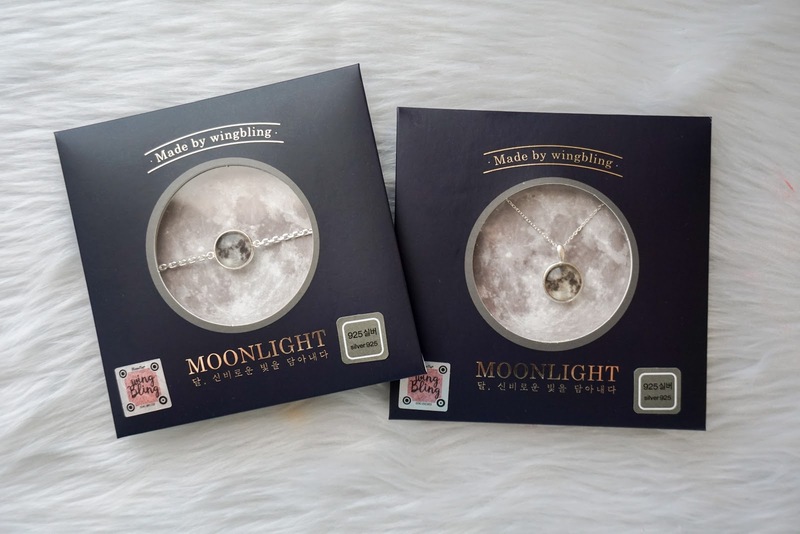 The products come with instructions and it says to place the necklace and bracelet under the sunlight in a few minutes for it to glow in the dark. You can also use the flashlight on your phone. 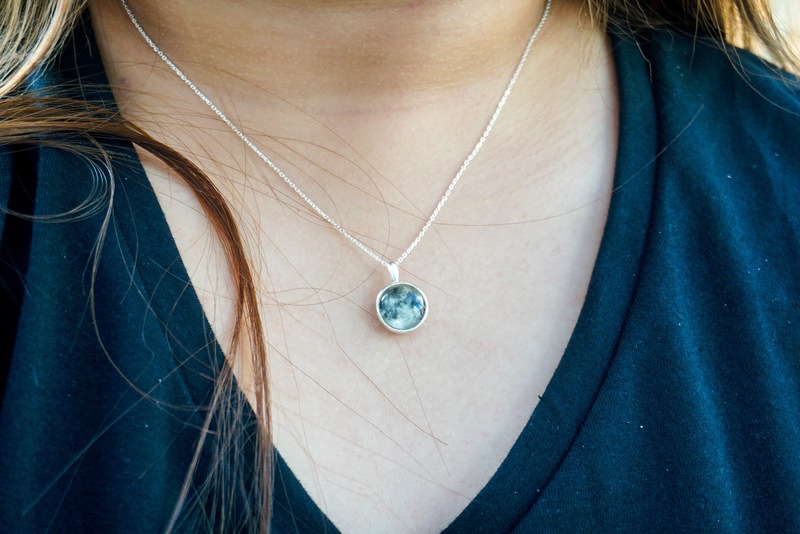 I tried both options and I must say that the sunlight makes the pendant glow more under the dark. The color varies according to light that it receives. If it is not exposed directly to sunlight, it is just mostly white or its original state. It becomes blue/green when exposed to sunlight because I believe it is already emitting phosphorus. 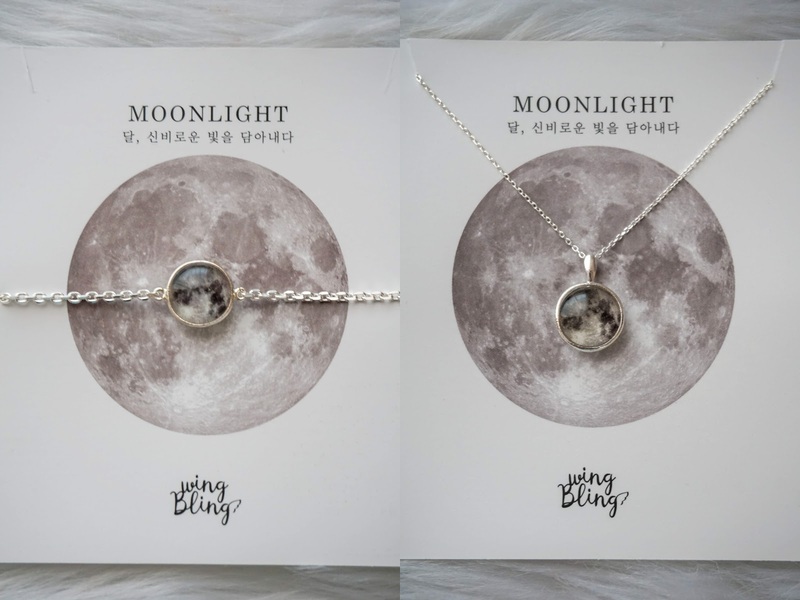 I was amazed by the pendants! Haha! I very fond like glow in the dark stuff since I was a kid. I used to put glow in the dark stars and moon on the ceiling of my bedroom. 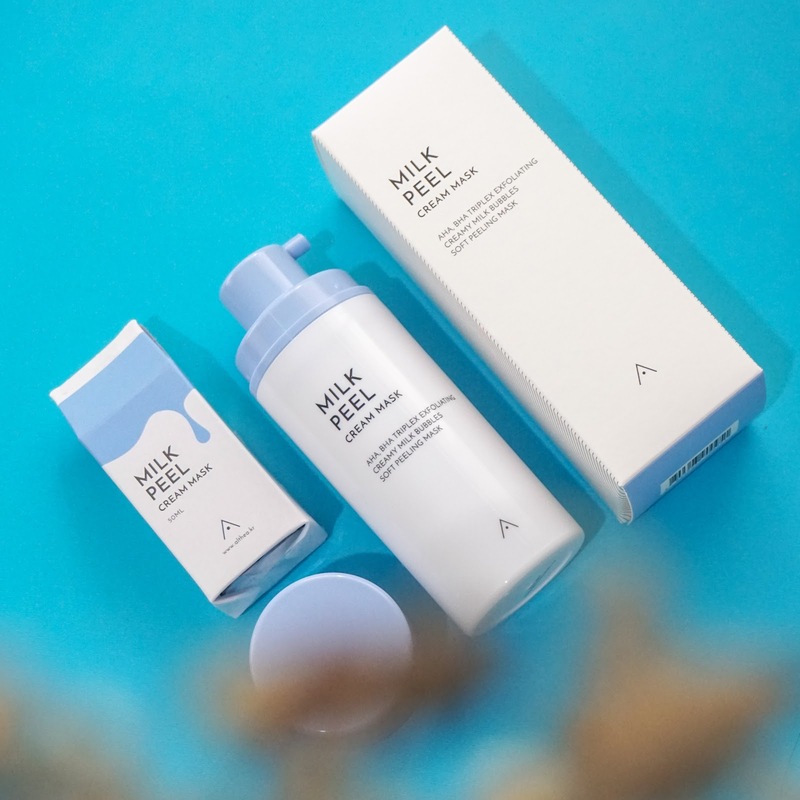 Milk is not just known for its moisturizing effect but also works well with sensitive skin. It widely used in most of the beauty products like soap, lotions, and creams. 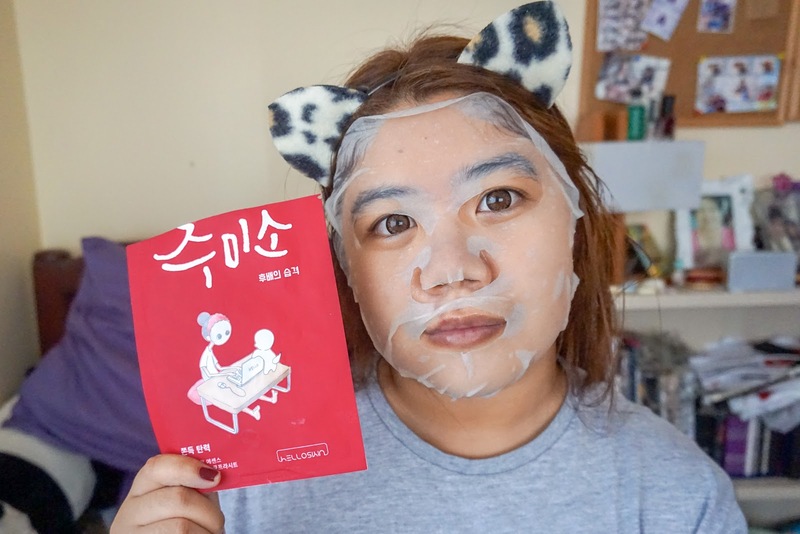 HELLOSKIN is a new brand for me to try and I heard that they are famous for their sheet masks. These are called JUMISO. In Korean, JU means "to give" and MISO means "smile". They got a variety of sheet masks that caters to your pampering needs. I got their Chewy Elastic Masks and it was given to me by Althea. Thank you, Ms. Tammy! 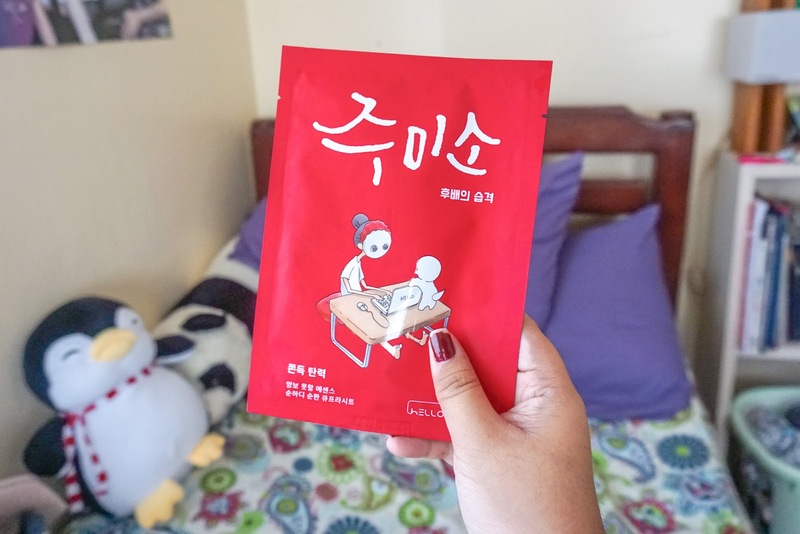 ♥ We are actually not required to review this but since I read a lot of good reviews about these masks, I wanted to share my thoughts with you. Like the usual, I want to talk first about the packaging. This is far one of the sheet masks with a good packaging. It looks very classy. There is no English translation on it so I actually had to search it for me to know about the brand and how to use it. This Chewy Elasticity Mask is an anti-aging mask that leaves the skin hydrated and moisturized. It contains collagen-rich eggshell membrane and enhances your skin's elasticity. Made with super soft, thin & breathable Cupra cotton sheet, the Jumiso mask is designed to hold up to ten times more essence than regular cotton masks, which means more concentrated essence delivered to your skin. Suitable for all skin types. 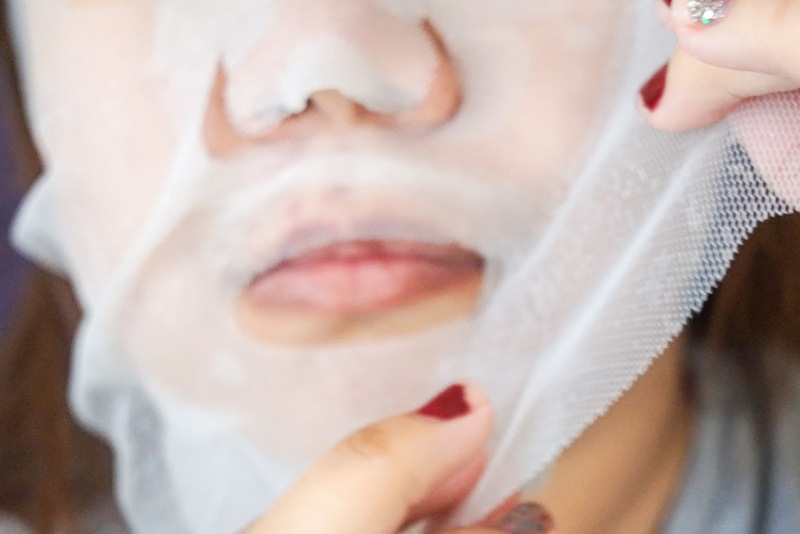 Place the cotton side sheet mask over cleansed and toned face. Carefully peel away and discard the mesh layer. Leave on for 10-20 minutes. 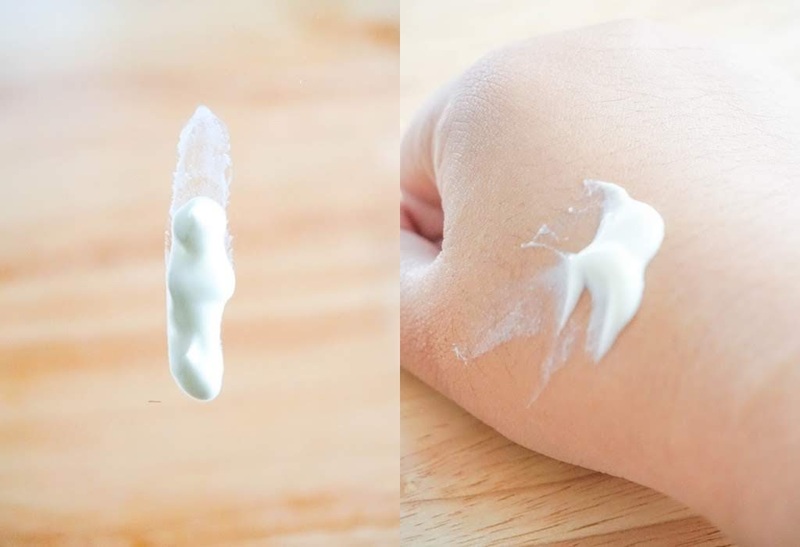 Remove gently, massage remaining serum into skin. Don't forget to peel away the mesh layer. I love how this sheet mask makes my skin really soft and hydrated after use. It has more 'juice' compared to sheet masks from other brands. The sheet mask is kinda thin than the usual and I think the mesh part it really helpful in keeping the mask intact. It is not sticky. 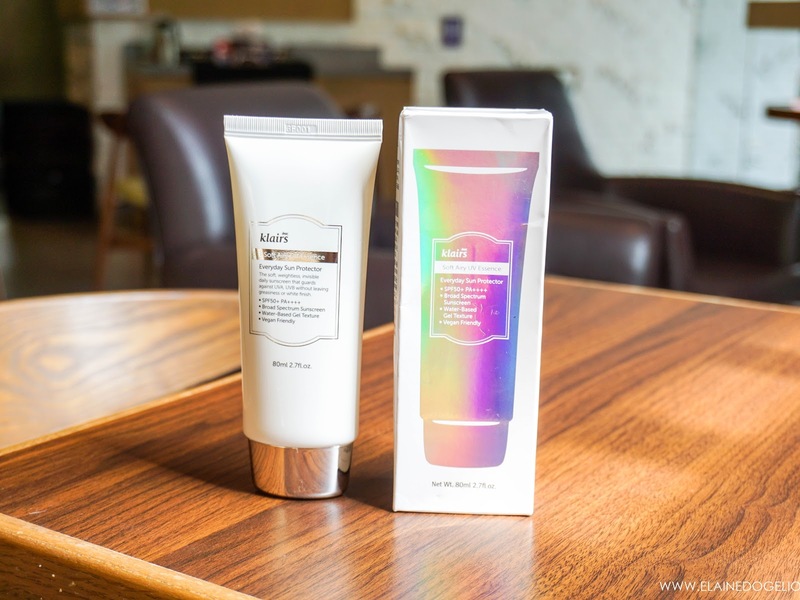 Last August, Althea Korea had a product collaboration with Get It Beauty, Korea's top TV programme. 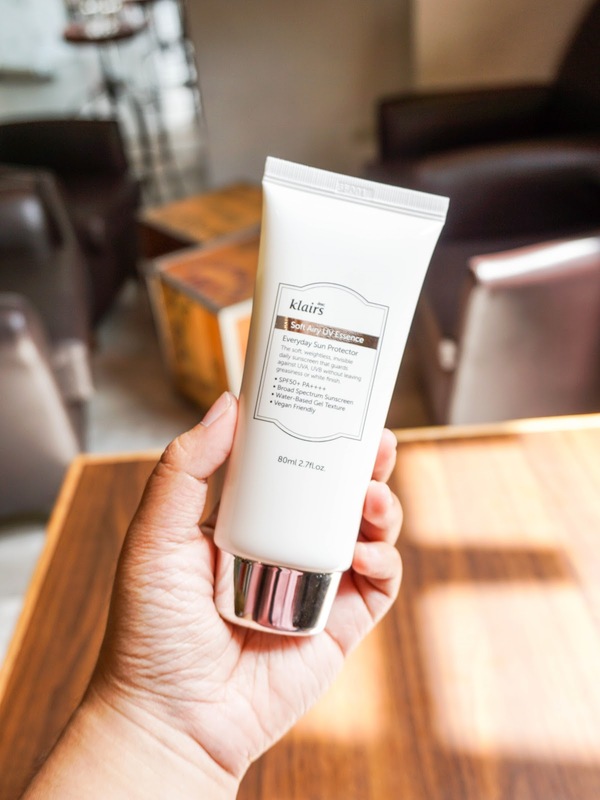 The product is called the Real Fresh Detoxer which is a 10-second mask-to-cleanser skincare product. 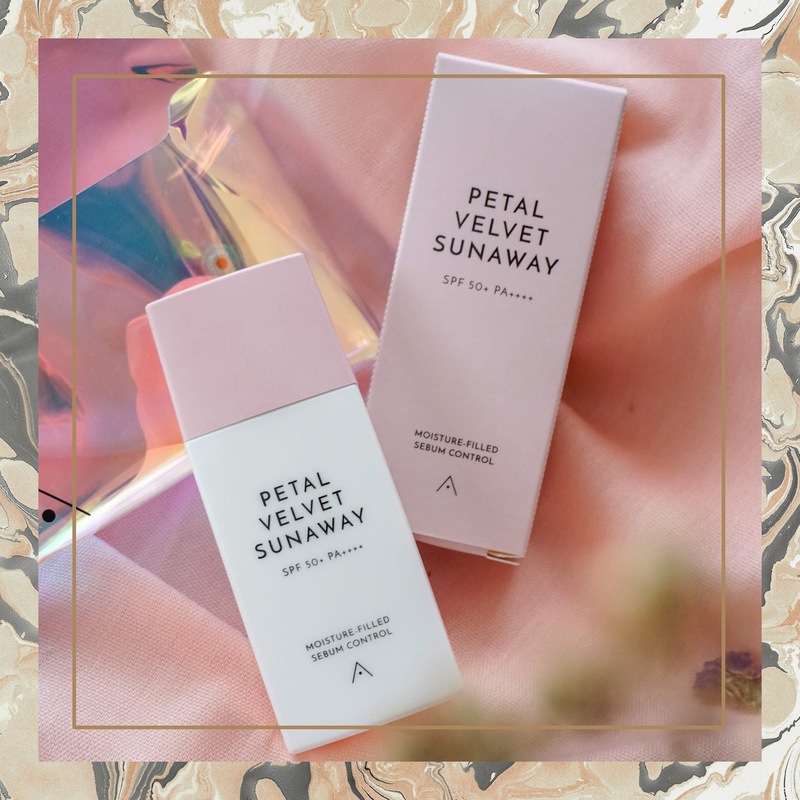 The product comes in two variants – Green Tea and Rose. You can buy them individually or as a set. These products contain real rose petals and green tea. 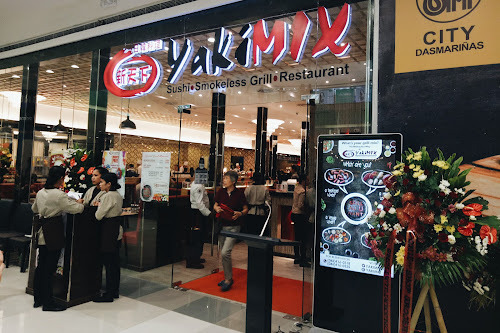 Japanese food is one of my favorite food and I'm so happy to find an excellent sushi place and a hidden gem here in the South — SUSHI NINJA, located at Westgate Center, Filinvest City, Muntinlupa. 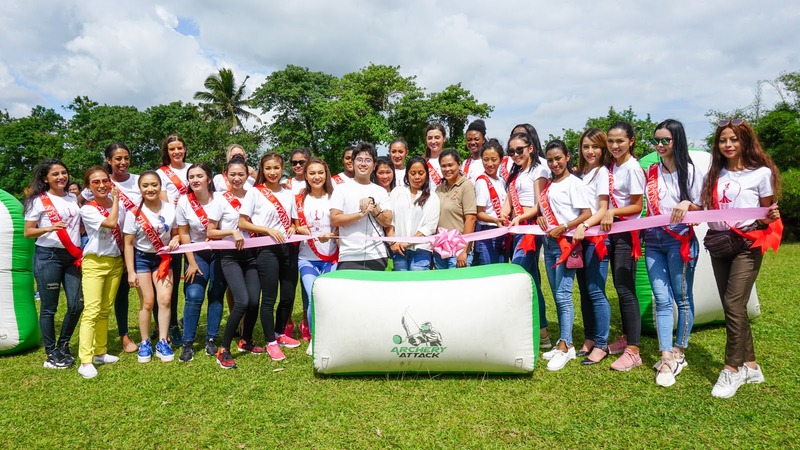 Zoomanity Group, one of the leading companies in theme park industry in the Philippines expressed its support to Miss Tourism Queen Worldwide 2018 in promoting nature and animal conservation, as an addition to their advocacies which includes tourism around the world. 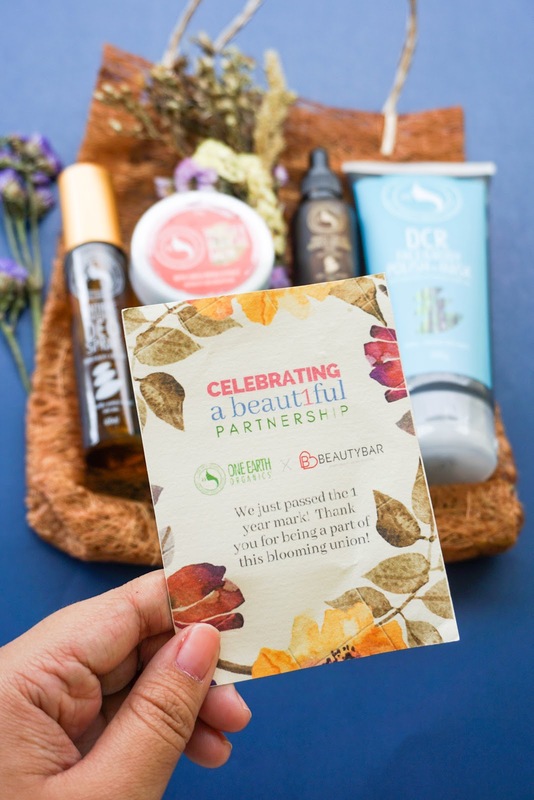 One Earth Organics Celebrates Their First Year Anniversary with Beauty Bar! 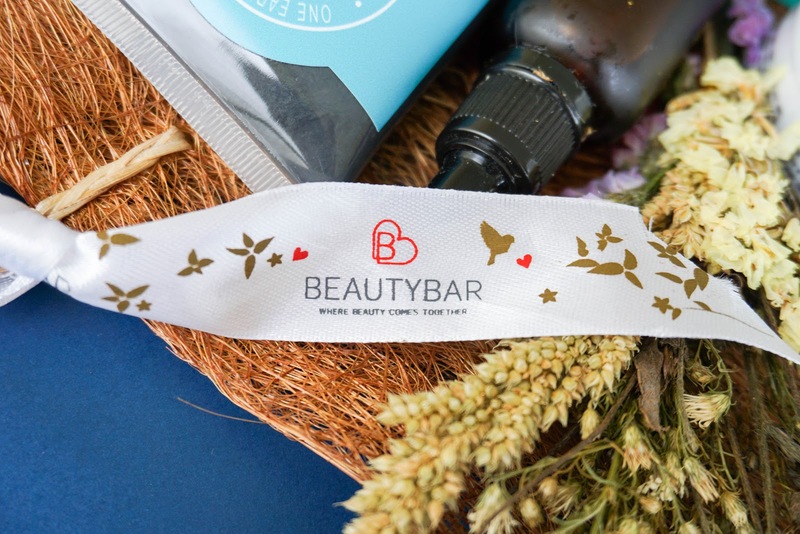 One Earth Organics celebrates their first year anniversary with Beauty Bar! Congratulations on reaching another milestone! For this event, they sent me this PR Kit. Thank you so much to Ms. Tiffany of One Earth Organics! 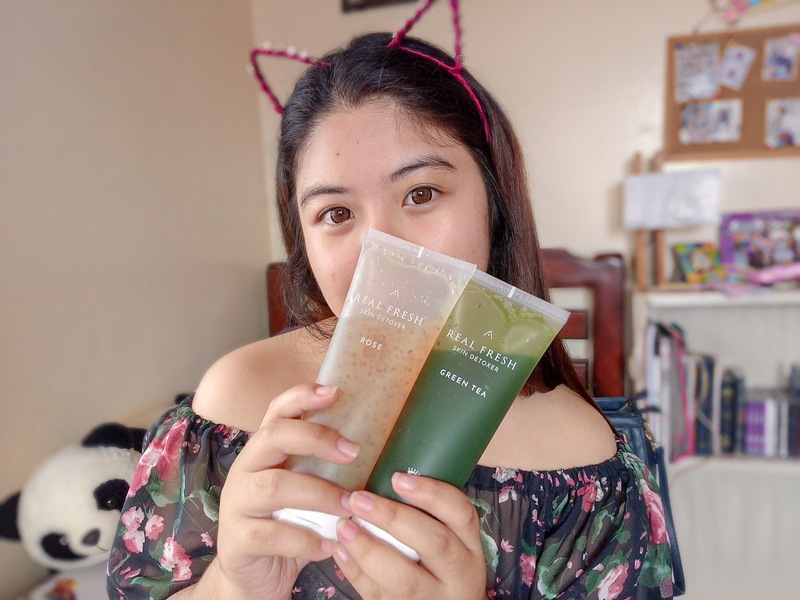 This is my first time to use One Earth Organics products and I can't wait to try them out! I will post my reviews soon. I need your suggestion, loves! Should I do it in five products in one post or one post each product? Let me know! 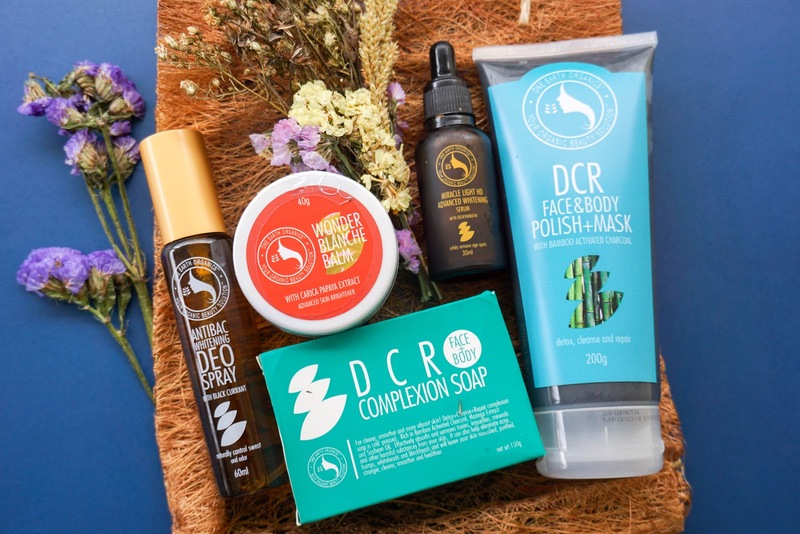 One Earth Organics is available online through their website and Beauty Bar website. For physical branches, they are available at all Beauty Bar branches nationwide. Hey, fam! What's up? It's been a while since I last posted a Life Lately entry. A lot of things happened from the last four months and I just can't believe that October will soon end! Everything just happens so fast! We only have more two months left for 2018. Let's all make it count! I had my first food crawl! I was invited by Zomato PH for a food crawl here in Tagaytay. 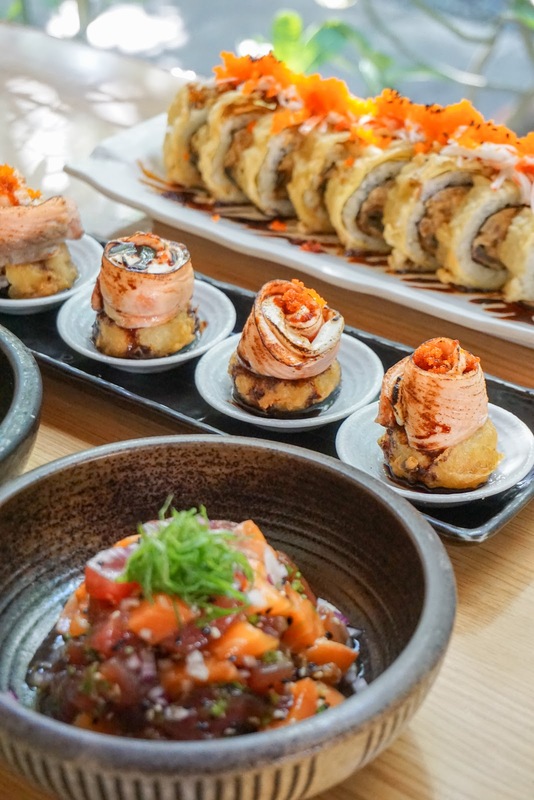 I already posted my reviews: Mozu At Ming's, Lime and Basil Thai Restaurant, Siglo Modern Filipino. Joseph and I celebrated our 7th anniversary last September 1st. We celebrated it in an LDR way. Haha! No choice! I just bought this Black Forest cake from Goldilocks. He's in LA for ten months already. I miss him so much! I've been working at home for a year now. I just can't believe it has been a year! Ever since I started working, I always thought that I'll never stay in a job for a long time. Madali akong magsawa. But now, I am thankful for this opportunity. All I can say that I am happy with what I am doing even though I am not working full time and in the corporate world. 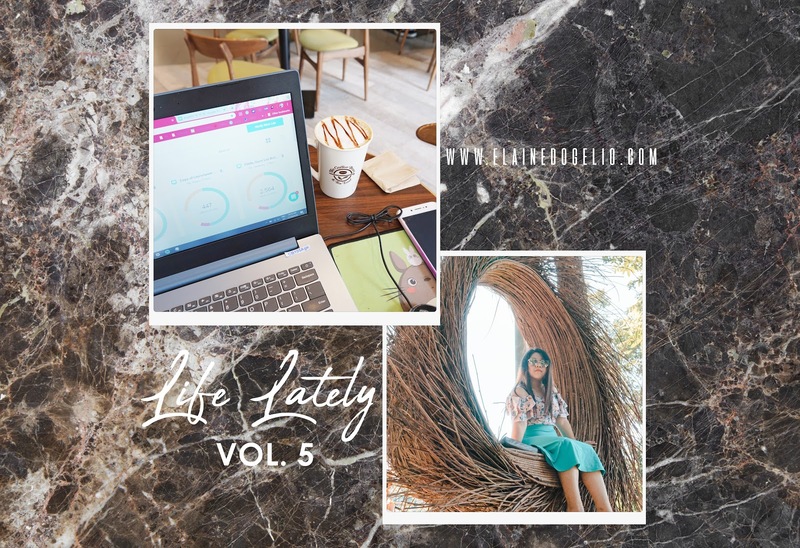 I can still do what I want to do like blogging and a bit of travel sometimes. I also tried to work in a coffee shop the other day and it made me more productive. I should try that more often! Haha! I was diagnosed with Photodermatitis by my dermatologist two weeks ago. I noticed that my arms got really burnt after our Batangas trip. The next day, my left arm felt so itchy, dry and it became rough as well. Only on a specific part though, not the whole arm. I scratched it a bit because it's really itchy and then I noticed there are already small wounds on it. I also noticed that my right arm is also starting to itch and there were tiny wounds as well. That was when I started to panic and Joseph told me to go to the doctor already. Good thing it was not severe. It was already treated as of the moment. My dermatologist also told me that my skin on my arms is the most sensitive skin on my body especially from the sun. From my trips since summer, only my arms are at it's darkest. Now I know why. This blog just hit 100,000+ views! I know I don't post on a regular basis, but I still want to thank you for reading my blog. There are times that I don't feel motivated to update this blog but I think writing and photography is really my passion and I just can't stop doing what I love. I will try my best to keep this blog running and to give you more quality contents in the future. There are many pending blog posts on my list and there many ideas in my mind. 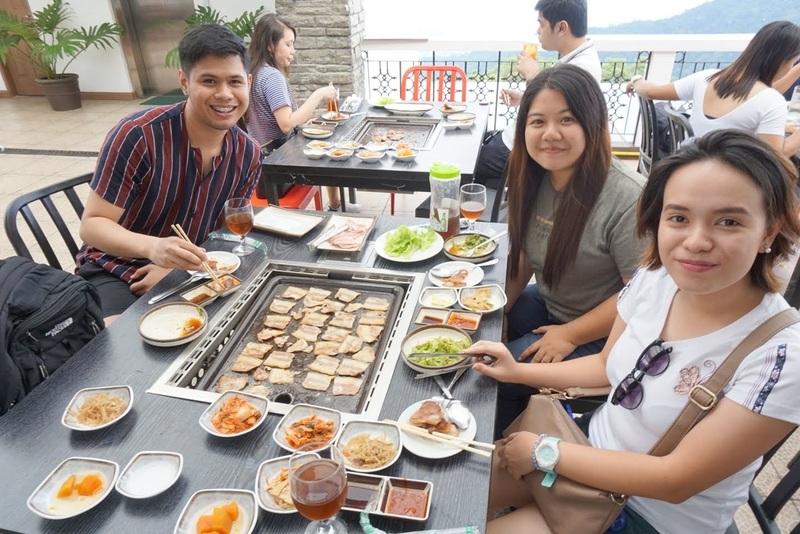 I also had lunch with my two high school friends - Aminah and Terence, at Mr. Kimchi Restaurant here in Tagaytay. Mas natutuloy talaga pag biglaan! Haha. I also had a breakfast date with Fhei last Sunday at Mcdonald's. And of course, my Life Lately entry won't be complete without the Kdramas the I have watched from the past months. I haven't watched much Kdramas lately unlike before. I've also started watching Brooklyn Nine-Nine. Still on Season 1 but just three more episode and I'm done with S1. POWER VOCALS! I'm obsessed! 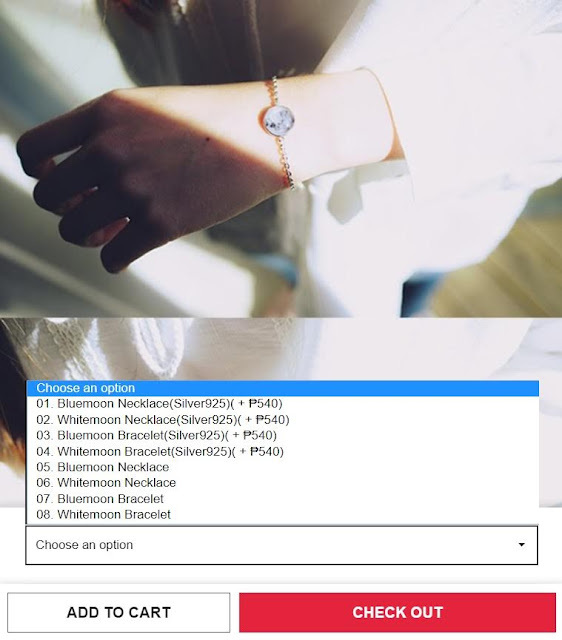 Can't choose a bias! I love all of them! Haha! They're like the other persona of SISTAR. Hwa Sa's appeal though! I was so surprised when I learned that Latata is their debut song! I thought they have been in the industry for years. Soyeon is giving me CL vibes! She got the power and this girl group will soar high in the future. They got potential. No doubt! So sad to know that Miyeon was supposed to be with Blackpink. 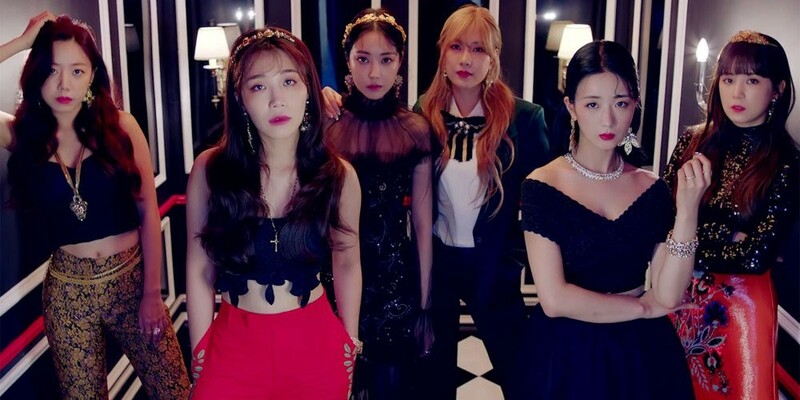 I already like Apink since Mr. Chu but I like their new song and concept more. I love Bomi and Naeun! Aminah recommended them to me. I never thought I would like CoEd this much. They're good too! I guess that's all for now. Stay tuned for more kbeauty reviews and food adventures! 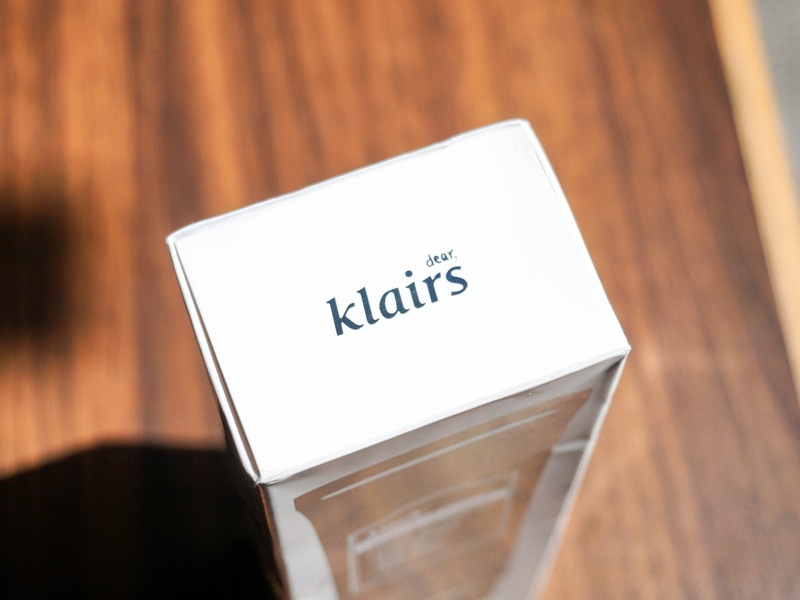 Klairs is a respected and award-winning Korean brand and they are known for their skincare products. 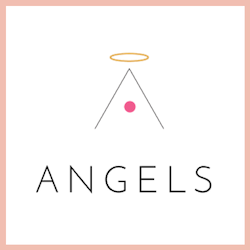 I have only tried their unscented toner and it works really well on me. I am currently obsessed with skincare products and I am happy to have this! 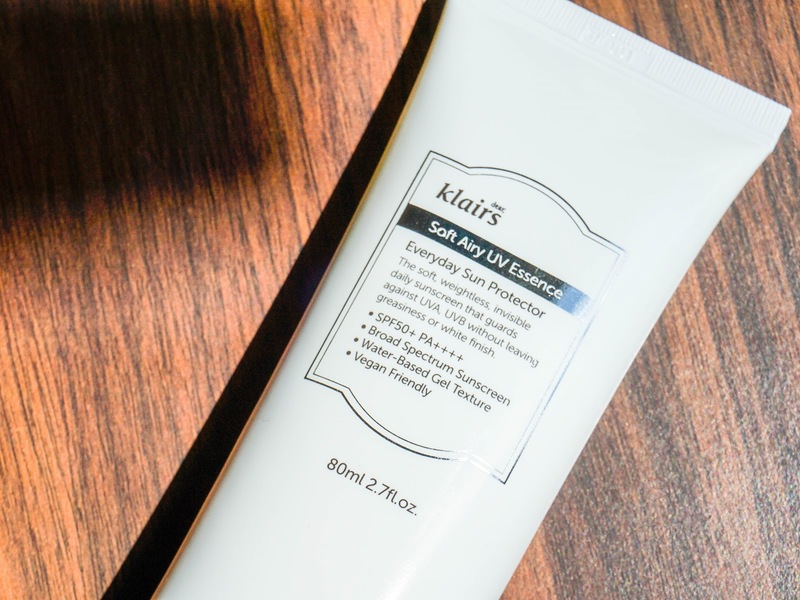 Klairs released a new product last September and it is their Soft Airy UV Essence. This is a great product to protect the skin against UV rays! 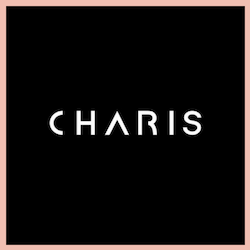 They officially launched this together with Wishtrend last September 6, 2018. The packaging is very simple but on point. It comes on a white plastic tube with a silver cap and details on it. It also comes on a box with holographic details. Talk about aesthetics! 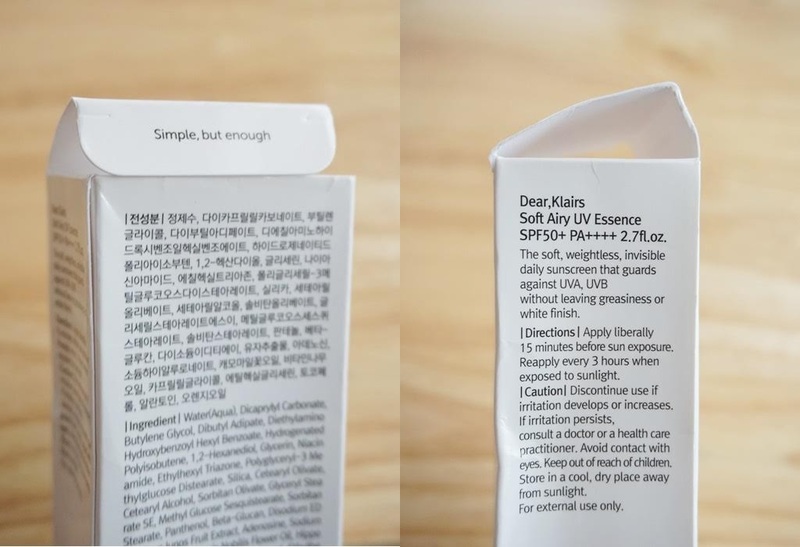 What I also like about Klairs is that their packaging are always detailed and they always have the English translation of it. Apply liberally 15 minutes before sun exposure. Apply every 3 hours when exposed to sunlight. This is what the product looks like. It has a watery consistency as what the product claims say. True to its claims, it is not sticky on the skin when applied which I really like and a little goes a long way. ★★★★★ I am so in love with this product! I have combination & sensitive skin and it works well for me. It is hydrating on the skin but it doesn't make my skin oil up more. It has SPF 50+ PA+++ which is great! I first used this when I went to Batangas for a day tour. It was a great way to test it because the sun was scorching hot that day. I am really glad I brought it with me! The only con that I see with this product is the price. 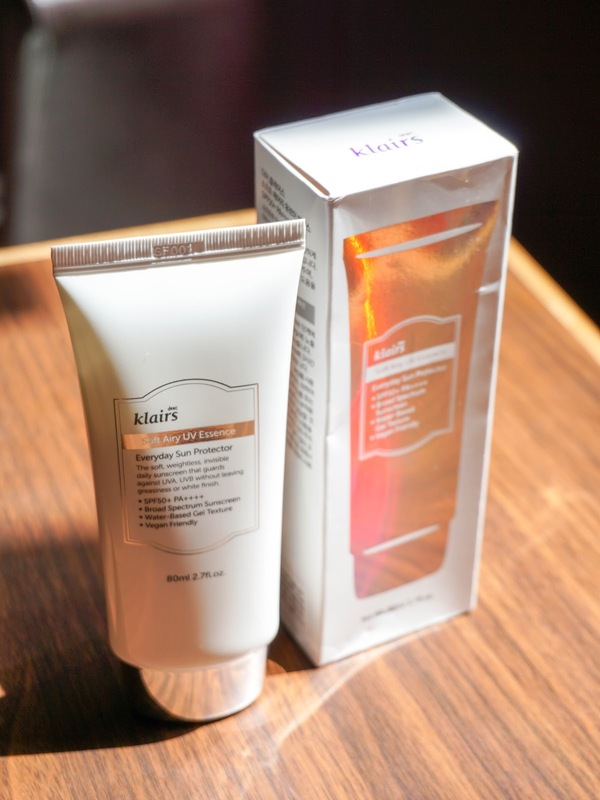 Most Klairs products are priced $20 and above but I think it is worth it because they really work well on my sensitive skin. 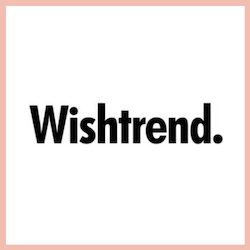 Disclaimer: I am an affiliate of Wishtrend and the links above are affiliate links. 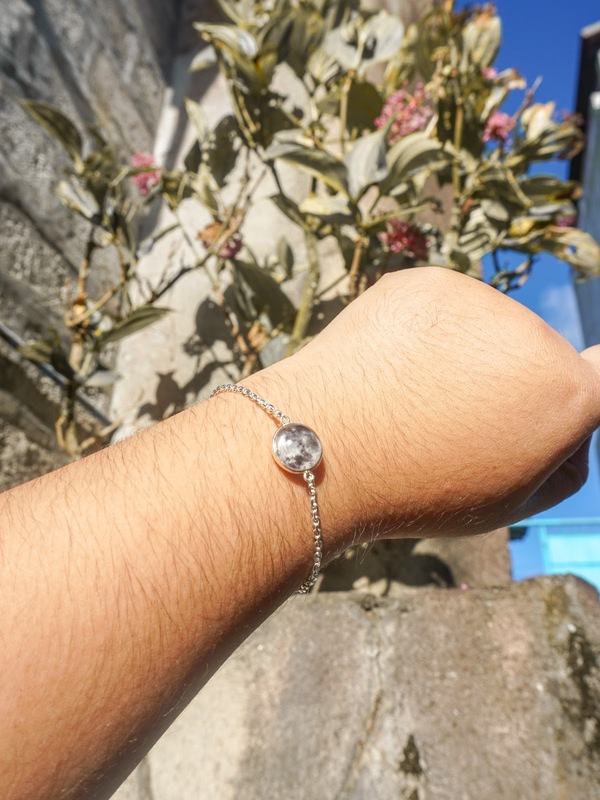 This product was sent to me by Wishtrend for review. All thoughts and opinions expressed herein are my own and not influenced by the company or its affiliates, in any way. How about you? What sunblock are you currently using?